Most of us, most of the time, mostly act as if we will never die. We fritter away our days as if we could claim an infinite number of them. We let feuds and small insults eat away at relationships as if they could always be mended tomorrow. We let pettiness, pouting and procrastination rob us of a meaningful life. "Some day" overshadows "this day". We die thinking that tomorrow, we'll become the person we always meant to be. Each of us could add to this list of the ways in which we live a superficial life because we think that we always have tomorrow and "later" will become "now" any day - just not today. Among the many gifts of Lent is an invitation to turn from superficiality and go deeply into our own lives, living fully and with intention. 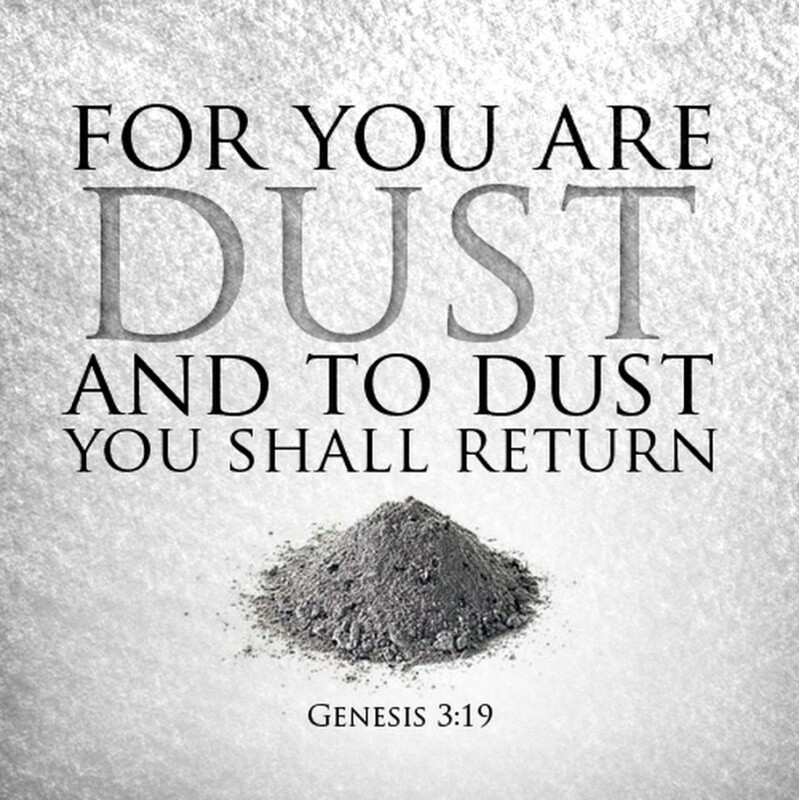 To be reminded that "you are but dust and to dust you shall return" is to be invited to acknowledge the fleeting nature of our existence, the smallness of self, the insignificance of me. To know our place in this way can be an inspiration to exuberance and vitality today. Coming to grips with our mortality can be a gift that moves us to celebrate. TODAY I am here. TODAY I exist. TODAY I have the opportunity to become the child of God I am. 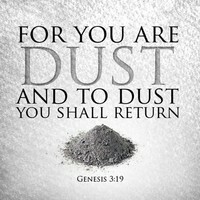 Remember that you are but dust and rejoice that you are beloved dustiness made by God for life. Live now by God for Christ's sake.